This product was added to our catalog on Sunday 30 October, 2016. Kosher favorites for everyone to enjoy. 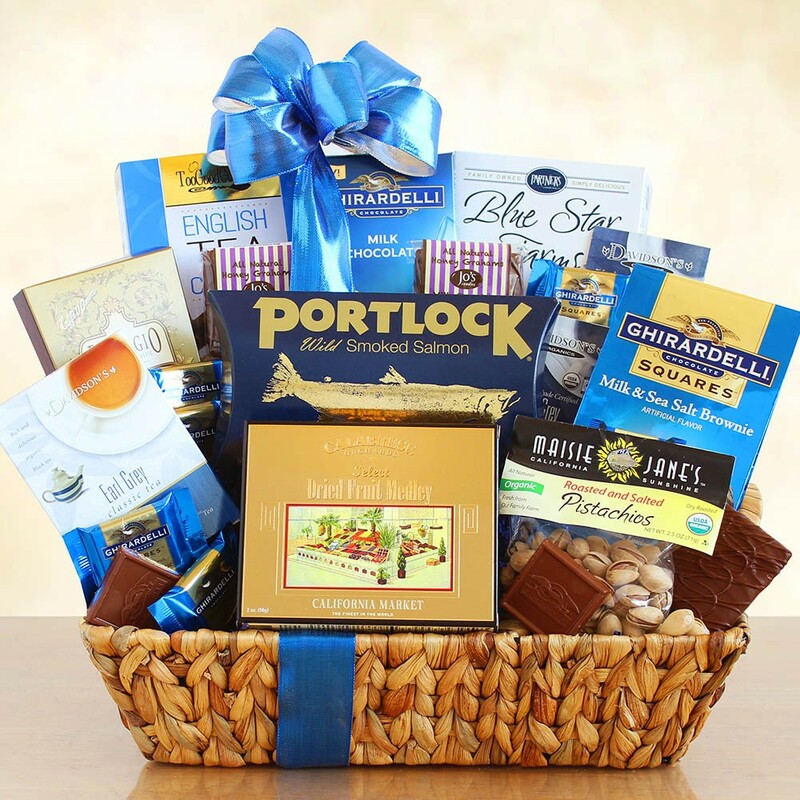 This hearty gift includes a trove of sweet and savory treats including smoked salmon, Ghirardelli chocolates, savory snack mix- all certified kosher.